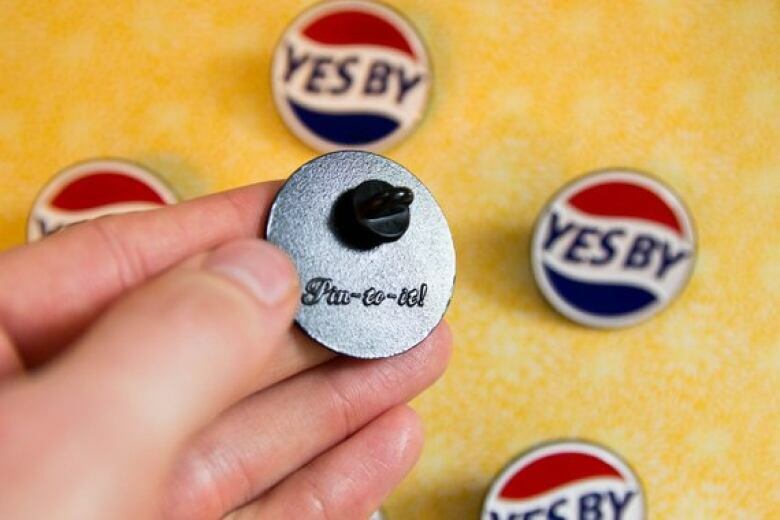 A local artist who created Yes By pins is accusing a soft drink production company of manufacturing and distributing a similar version of his product. A local artist who created pins combining a Newfoundland phrase with the soft drink logo is accusing a St. John's producer of manufacturing and distributing a similar version of his product. Alex Wilkie said two years ago he designed a pin that was meant to combine the expression "yes, b'y" with the Pepsi logo as a humorous commentary on the relationship Newfoundlanders have with the soft drink. But Wilkie alleges Browning Harvey, a Pepsi distributor in St. John's, is manufacturing an almost identical pin and giving it away for free to businesses who purchase from them. He said he first noticed when a local restaurant posted a picture of one of the pins on social media announcing the production company was giving them out. "I saw the photo and I could tell right away something was off about them and it wasn't my pin," said Wilkie, who lives in South Korea but sells his pins on Etsy and in shops around St. John's. Wilkie said a little while later someone who allegedly worked for Browning Harvey messaged him asking about buying the Yes By pins from him. Wilkie said he got back to the person with a price but was later told the company was no longer interested. "I was a little disheartened when I saw it originally because I didn't feel like there is anything that I could do about the situation. 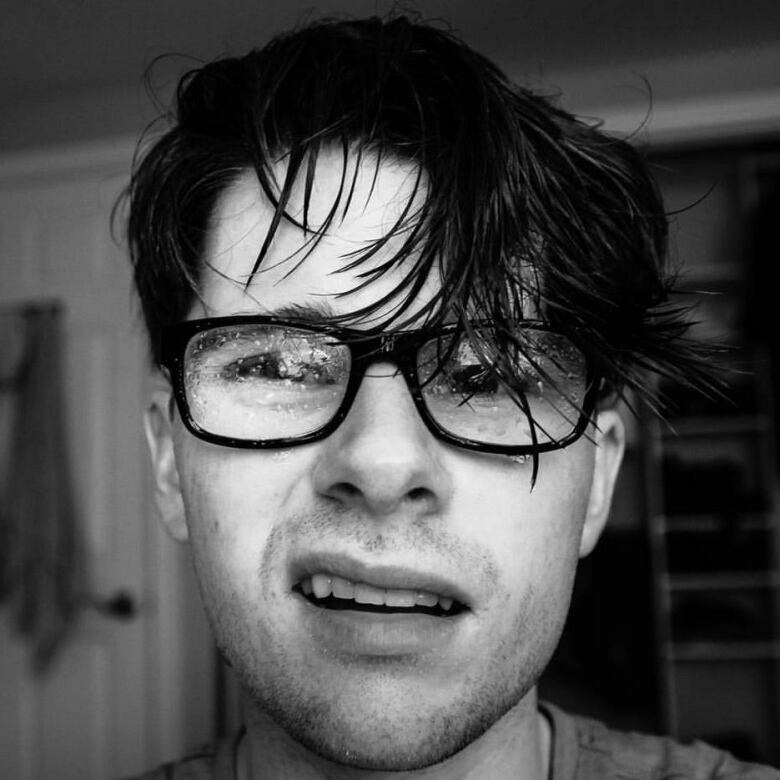 I don't have any finances to tackle a situation like this," he said. In January, Browning Harvey announced a free pin giveaway on Facebook. Wilkie said Browning Harvey's pin is a little bit smaller than his and has a metal butterfly clasp on the back instead of the black rubber clasp that Wilkie uses. Also, Wilkie has his brand name, Pin-to-it, stamped on the back. "Other than that, the pins look nearly identical," he said. Copyright laws can be tricky, says Toronto intellectual property lawyer Anthony Prenol, who didn't comment on the Yes By pins specifically. In Canada, he said, "there is a defence to the claim of copyright infringement if you can establish what you are doing constitutes as fair dealing," such as for parody or satire. However, Prenol said, if someone produces the exact same or extremely similar product it could constitute copyright infringement. CBC has left messages with Browning Harvey but has not heard back.